Providing Columbia County, Oregon commercial waste removal, portable toilets and residential trash and recycling. 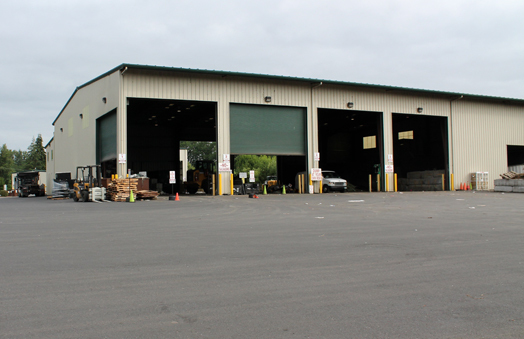 Hudson Garbage Service proudly offers reliable and affordable commercial garbage and recycling collection for businesses in St. Helens, Columbia City, Rainier and Clatskanie. From an assortment of carts to commercial dumpsters and compactors, we have the ideal options to suit the precise trash collection demands of your business. Please call us and let one of our Hudson Garbage Service waste professionals help you determine the size that is most appropriate for your commercial trash removal needs. 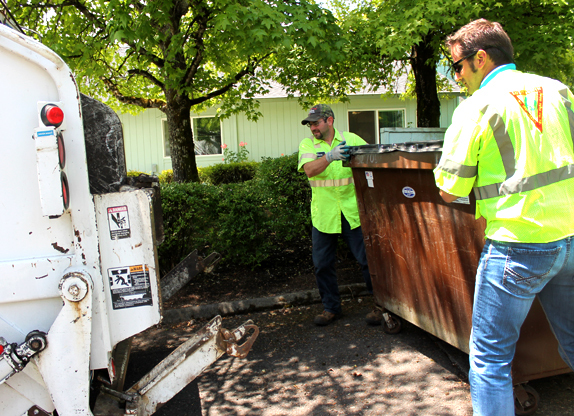 Hudson Garbage currently offers commercial recycling to businesses in and around St. Helens, Columbia City, Rainier and Clatskanie in Columbia County. *These items are accepted at our drop-off locations. See that section of this page for details. Commercial trash subscription customers are billed on the last day of every month, with payment due by the 15th. Hudson Garbage Service makes it easy for our Northwest Oregon commercial trash and recycling customers to pay online, by phone or by mail. *Please include your Hudson Garbage account number in the check reference line for faster payment processing. Give Hudson Garbage a call to discuss how our Columbia County company can help meet your waste removal needs.